Boaz Wachtel was an ibogaine treatment provider from 1989 to 2009 in the Netherlands, Panama and Israel. He has authored numerous articles (both in the popular press and scientific journals), including the co-author of the first ibogaine treatment manual (with Howard Lotsof). Wachtel was the founder of the Green Leaf Party in Israel. 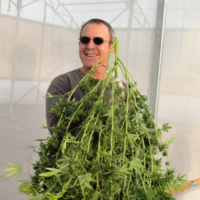 He was a nominated member of the Israeli parliaments drug committee examining the legal status of cannabis. He is also the founder and executive Chairman of CrescoPharma, an Australian publicly traded CBD-based nutraceutical company.